Dental veneers, also known as porcelain veneers, are thin shells that are custom-made to cover the front of the tooth’s surface. Veneers are used primarily to improve the appearance of the teeth, but they can also help protect teeth from future damage. Veneers come in many styles, allowing everyone to improve the appearance of their teeth. You can choose from things like color, shape, and style to get the best result. If you take a few minutes to learn your options, it can be easier to make an informed decision about the veneers you choose. When you are ready to choose the right veneers, you should talk to your dentist first and foremost. They know your teeth and will be able to help you pick the best style, shape, and color for them. Plus, they can offer advice as to whether you should choose resin or porcelain veneers, and if this is even the best cosmetic solution for your teeth at all. Their professional input is critical because this is a big investment and you want to get it right the first time. One size does not fit all in the case of veneers. Everyone has differently shaped and sized teeth, and the whole benefit of veneers is that they can be custom made to fit any tooth, no matter what people need. If a cosmetic dentist doesn’t focus on providing custom solutions, they probably aren’t the best one for the job. Also, because everyone is different, there is no right or wrong choice when you are picking your veneers. You can choose a style that resembles your current smile so that no one notices the change, or you can go for a whole new look with a different style of smile by choosing differently shaped veneers. A dentist will provide you with all of the resources that you need to find the right veneer. There are dozens of different types of smiles and styles of veneers, and finding the perfect combination is the key to success. Since a veneer is custom-designed for your teeth, it can be custom-shaded, as well. If your teeth are slightly off-white, you probably don’t want bright, pearly-white veneers that are going to look obviously fake. Also, different colors of white complement the skin differently. If you are investing the money in a great smile, you might as well make sure that it creates the perfect aesthetic appearance. Again, your dentist can provide you with what is known as a “smile library” to help you choose the right veneers. They will also provide advice and help in choosing the right color of your overlays. You can learn more about these styles by talking to your dentist. When choosing dental veneers as your solution to fix your smile, their lifespan should be a part of your consideration. Most veneers are designed to last about 7 to 15 years, at which point they will probably begin to wear and need replaced. The longevity of your veneers will also depend on your eating and oral hygiene habits, whether you drink or smoke, the quality of the materials used, and the work of the dentist. Although it might seem obvious, before you choose dental veneers for your smile, you should make sure that this is the right solution for your needs. 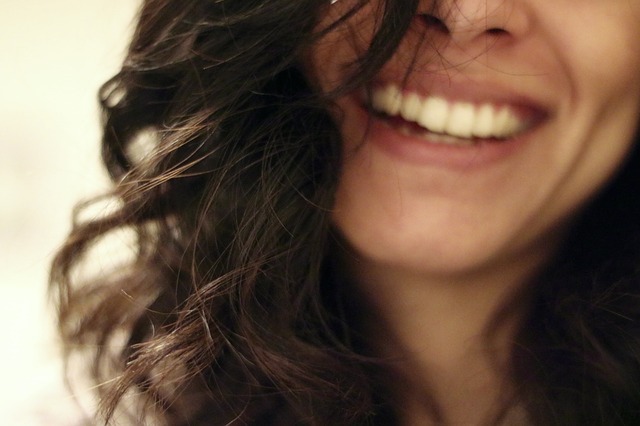 Veneers are great for aesthetic purposes, but they are not ideal for all patients. These are more costly than bonding and other procedures, but less expensive than implants or dentures, which what attracts many people. Also, some people are not good candidates for this option, such as those with excessive decay or enamel wear, as well as people who grind their teeth because that can cause chipping and cracking of the veneers. Veneers can be made from resin, porcelain, and ceramic materials. 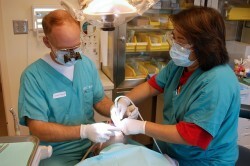 The material available generally depends on the brand used by the dentist. However, your cosmetic dentist should provide you with the option for different materials based on your needs and preferences. Porcelain is quite common, and often preferred for the quality and durability, but this is also the most expensive option. Resin is going to be a more affordable choice, although it may not be as durable or last as long. The goal is to find the best material within your budget to get the results that you want for your smile. 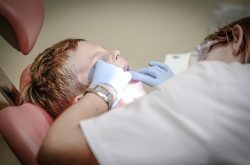 While a dentist will have recommendations and suggestions to help you in choosing the best dental veneers, it really is a matter of getting what you want. This is primarily an aesthetic procedure, after all, so it should be exactly what you have in mind. With the evolving technology and selection of products on the market today, you have more choices than ever for veneers in all styles and sizes. Your smile is reflective of both your physical appearance and personality, so you should consider which styles fit your personality in addition to fitting your face and looking good with your skin tone. Fortunately, a quick appointment with your cosmetic dentist can easily help you decide on the perfect veneer, no matter what you have in mind. Contact Wagga Dentist Morganstreet for more information or to set up your consultation.